Indian Navy Jobs Recruitment Notification 2018.Indian Navy inviting applications for the positions of Short service commission (SSC) logistics, IT, Law officer posts in executive branch in Indian Navy, Across India.Interested and Eligible candidates can apply for the positions. Applicants must be completed BE/ B.Tech/ MBA/ MCA/ M.Sc/ M.Tech/ BCA/ B.Sc/ Degree with relevant field of percentage is 60%. From the recognized organization/ Board. Sub Lieutenant – Level-10 –Rs.56100-110700 + MSP Rs.15500/-. Lieutenant – Level-10 B –Rs.61300-120900 + MSP Rs.15500/-. Lieutenant CDR – Level-11 –Rs.69400-136900 + MSP Rs.15500/-. Lieutenant – Level-12 A –Rs.121200-212400 + MSP Rs.15500/-. 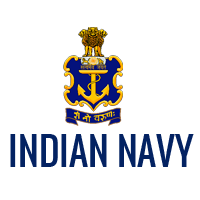 Applicants may apply the application form through online from 15th September 2018 to 05th October 2018.
https://www.joinindiannavy.gov.in/en/account/account/register is the link registered and https://www.joinindiannavy.gov.in/en/account/login is this link login.